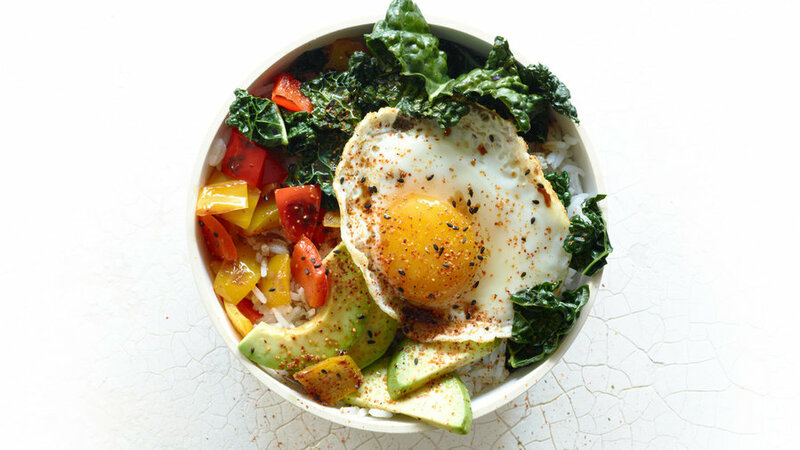 This recipe is a fresh take on bibimbap, a Korean rice dish traditionally topped with meat, vegetables, egg, and chili paste. It’s fast, easy, and doesn’t require a trip to a specialty store. Niloufer Ichaporia King, a wonderful San Francisco cook and author of My Bombay Kitchen: Traditional and Modern Parsi Home Cooking, developed this recipe for us. The Parsi community is famous for its ways with eggs, and King strengthens that reputation here. 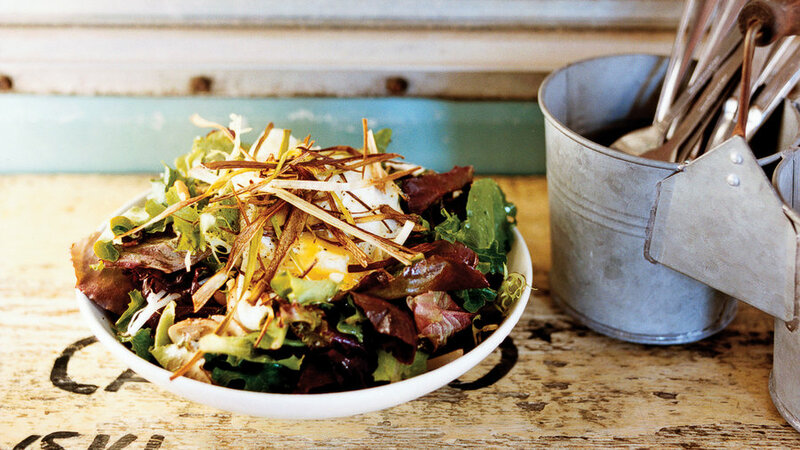 Don’t let the simple title fool you—this is a sensational combination of cooked and raw vegetables with eggs, from a Portland food truck. 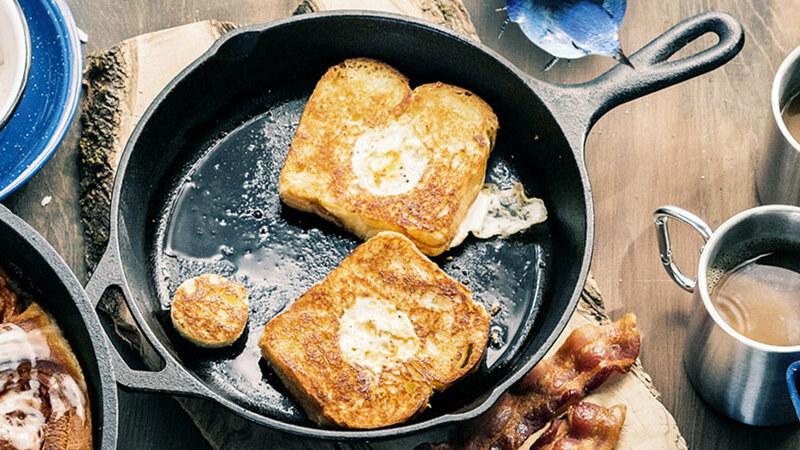 In this version of the classic eggs-in-a-hole, eggs are cooked (“jailed”) in the centers of bread slices, cut out to accommodate them. The cutouts get toasted in the pan, too. 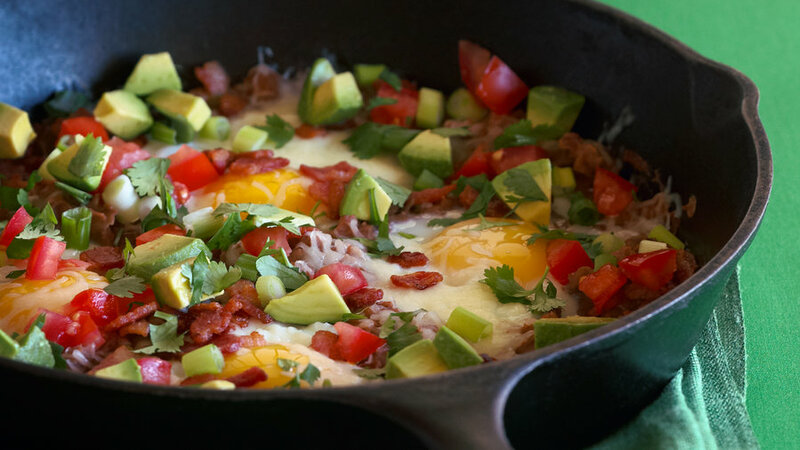 An appetizing mix of beans, bacon, cheese, tomatoes, cilantro, chiles, and green onions make this a hearty brunch or dinner dish. 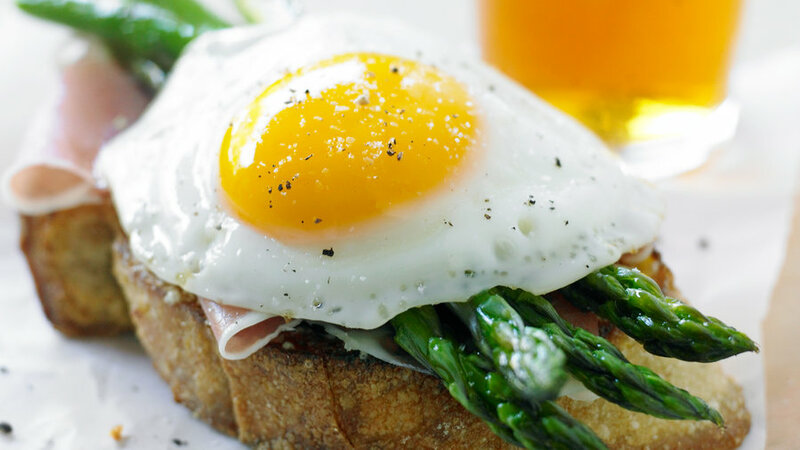 When great asparagus comes into the market, celebrate it with this easy, flavor-packed breakfast or lunch. Sunset recipe tester Maryanne Welton contributed this clever, eggy twist on the caprese salad. 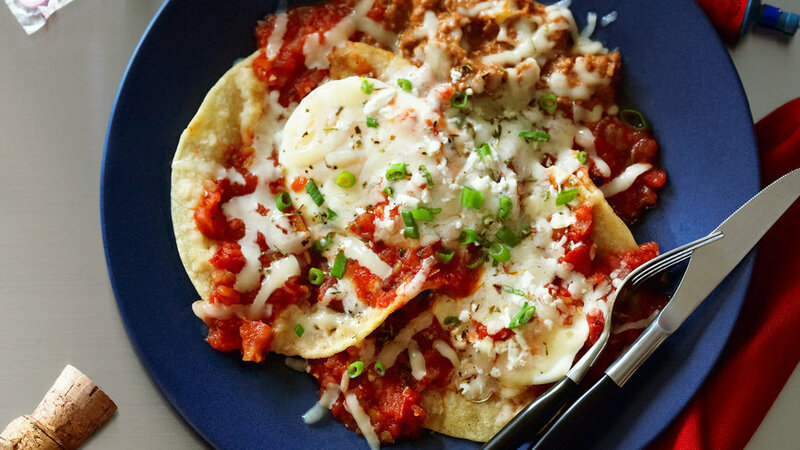 We live in the age of “put an egg on it,” and this recipe makes a great case for continuing the trend. 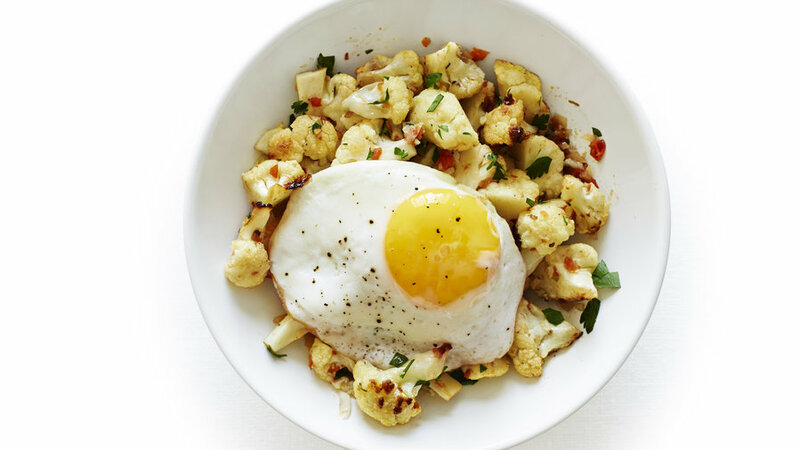 The liquid yolk creates a sauce for the savory cauliflower as you eat. 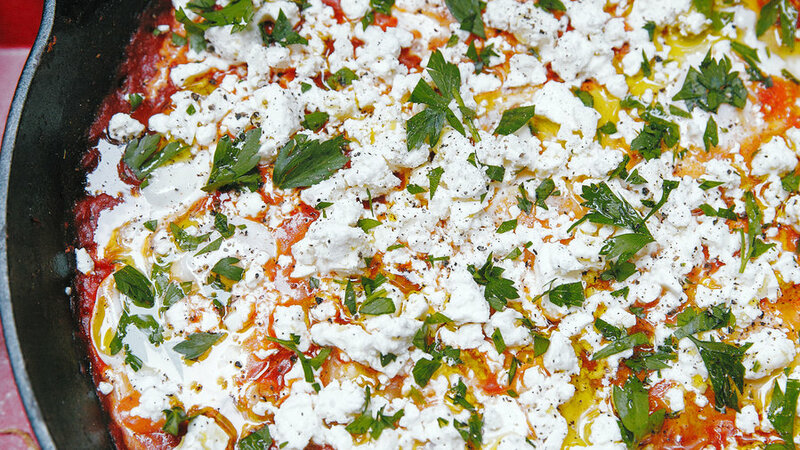 Panzanella, the Italian bread salad, usually relies on juicy tomatoes and basil for its allure. This wintertime version expands its appeal to the cold seasons, too. 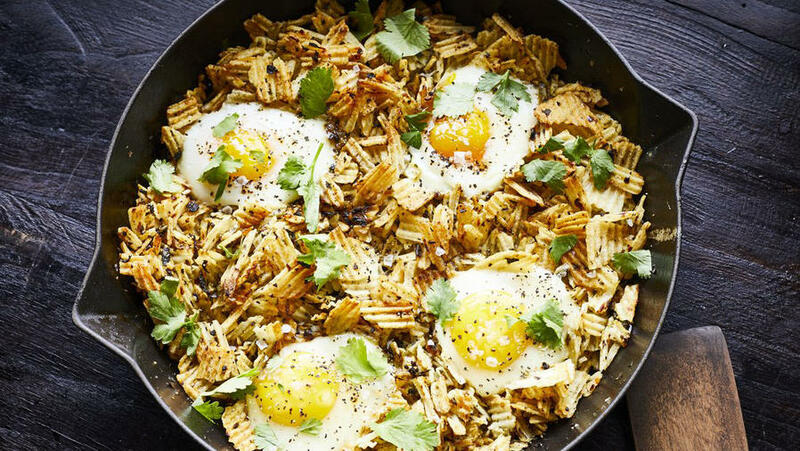 A North African dish, this terrific skillet dinner (or breakfast) is also hugely popular in Israel. 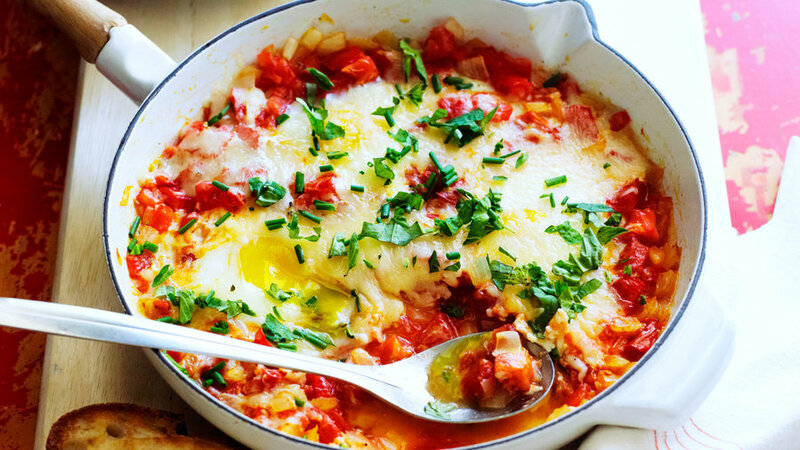 Our lightened version, developed for a healthy eating column, uses less oil than the typical shakshouka, so feel free to double it (even triple) if you like—it’ll taste more authentic that way. 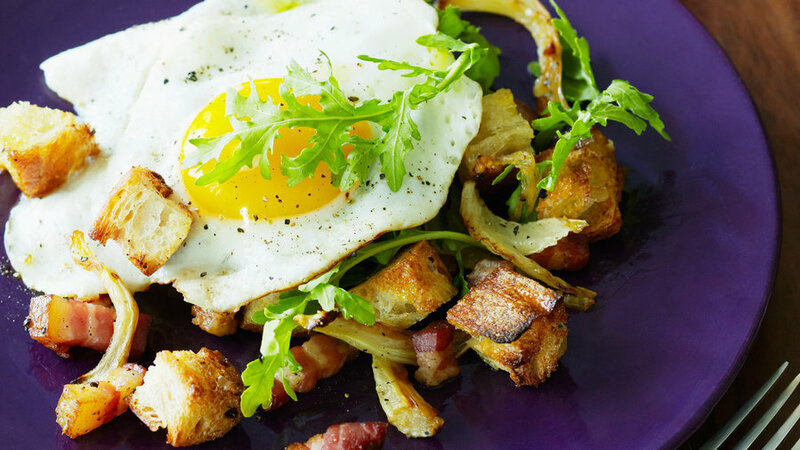 We developed this recipe for a fast New Year’s Day brunch that would get you back on your feet after a big party, but honestly, it’s great any time—and takes less than half an hour to make.